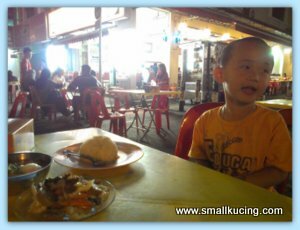 SMALL KUCING: Restaurant Vicchuda or Waneeda? 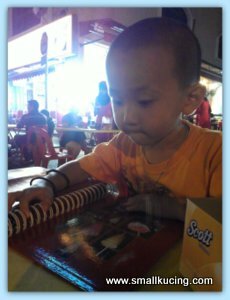 The other day Mamarazzi was thinking of having some spicy food. Tomyan and Kerabu Mangga cames to mind. Hmmm....very long time have not been to Restaurant Vicchuda which is next to Sunway Giza. 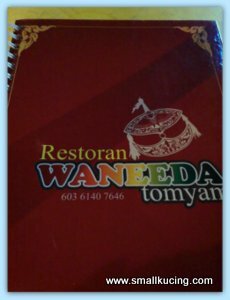 Why name changed to Restaurant Waneeda??? Everything looks the same even down to the staffs. Only the name noted to have change. Hmmm...wondering why... change of management? 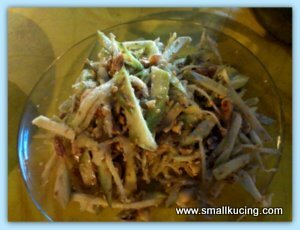 Anyway, here is the Kerabu Mango that Mamarazzi likes. Taste yummy except for the peanuts which had a bit of oil smell. But overall edible. 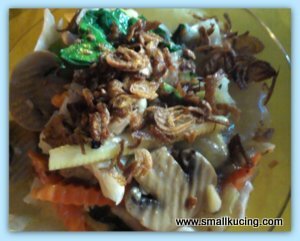 Auntie Little Bird will kill for this Fried Sotong. Very bouncy and very yummy. Mixed Vegetables. Nice but Mamarazzi likes the ones at Warong Katana better. 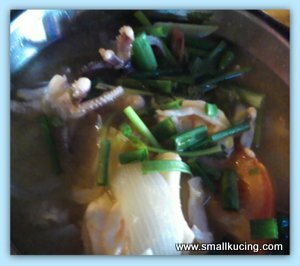 Seafood Tomyam without Cili Padi . Do I heard somebody laughing out there? It was Mamarazzi who requested them not to put Cili Padi. No worries. It;s still a bit spicy. Just nice for Mamarazzi. Jumbo Juice. What can I say ....nice to have these while having spicy food. Hey...can we eat now? Enough of snapping photos lah. Thai food in Europe is rather expensive..we only had it once..
LOL @ enough of snapping photos.. Meanwhile my husband is a great fan of sea food. And this one I see here looks really delicious..
Waneeda... Sounds like the name of a dangdut singer!!! Papakucing would be an expert in this. Hehehehehehe!!!! You make me crave for tom yam now...the food looks delicious! Me too cannot eat too spicy but I still go for it ..
there is once that I went to this curry noddles shop..
this woman order curry noodles and he told the guy .. I dont want spicy..
emm I love Thai food. The tomyam look nice. 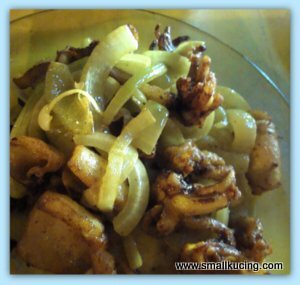 oh, the squid looks good woh!! haha, bouncy?? really can bounce?? how tall it can bounce?? jumbo juice!! hahahaha, is it the juice too jumbo or the dishes too mini?? how many litres of juices you have in that jumbo cup?? I also kept snapping pictures till they said, enough la! Oh my, what a spread of dishes, from the tomyam to the kerabu mango. I am back Kathy and what about Monday for us to meet.